What is Nitro Pro? 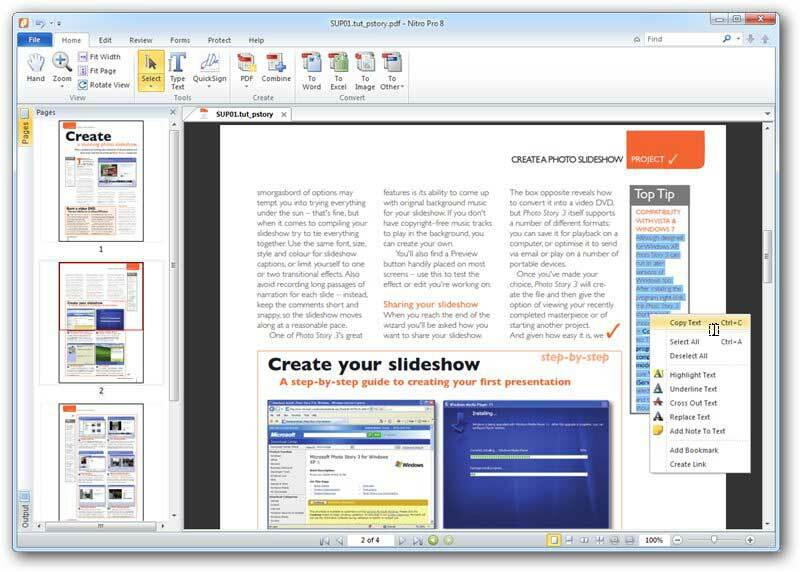 Nitro Pro is a complete PDF editing and creation tool. It offers many functionalities. 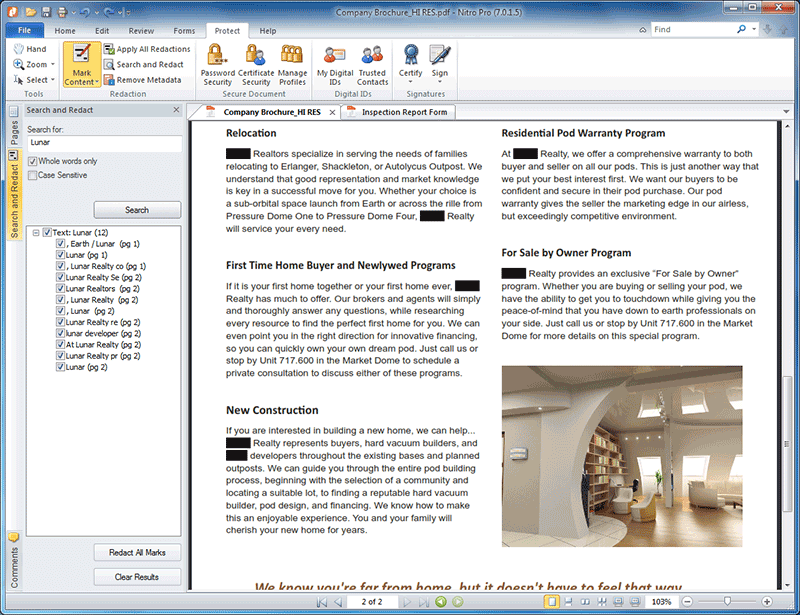 Previously known as Nitro PDF Professional, this program allows you to edit page arrangement, graphics and text. Nitro Pro suitable for both professional and personal use, and is compatible with any browser on your desktop. However, Nitro Pro only supports Windows. No product from this series like Nitro Pro 7, 8, 9, 10 or even Nitro Pro 11 supports Mac or comes with mobile app. All the features you'll find in Nitro Pro are also available in the best Nitro Pro alternative - PDFelement. In addition, PDFelement supports Mac and comes with an iOS supported mobile app, which is one big disadvantage to the Nitro PDF tool. Comparing prices, you'll also notice that the cost of PDFelement is much less than the latest version of Nitro Pro. 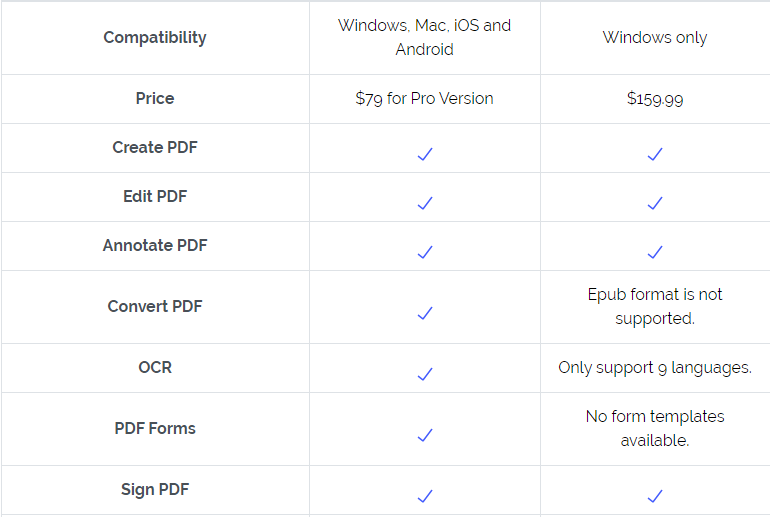 Considering both features and pricing, PDFelement is a great alternative choice for professional PDF editing and conversion. As the latest version of the tool, Nitro Pro 10 has the same powerful features as Adobe Acrobat, and is also very easy to use. It comes at an affordable price and it lets you perform the same task on numerous files at once. Apart from converting to Excel or Word, you can apply password security to your PDF files as well. 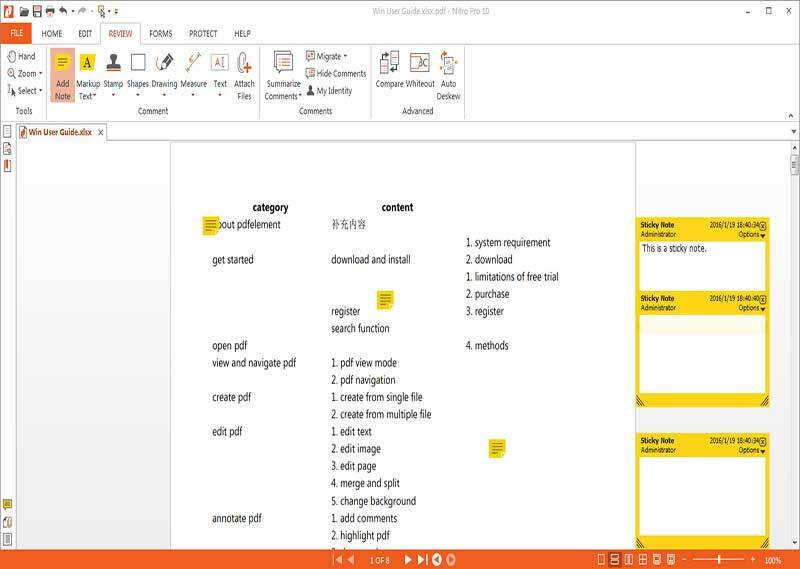 While checking out the feature list of Nitro Pro 9, you will notice that the functionality is similar to many other PDF editing tools. However, this version of Nitro provides great value for the price, which is strikingly less than its Adobe equivalent. 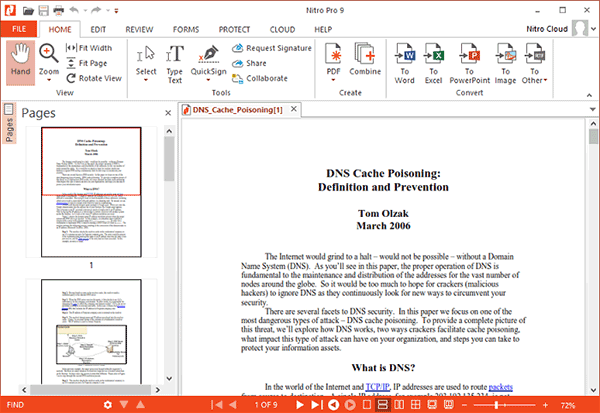 Nitro Pro 8 is packed with a lot of features that makes it quite easy to edit, insert, convert, create and review PDF files. It can detect scanned images easily and apply OCR in an instant. Exporting can be done to a single file, or multiple worksheets at once, which is great for efficiency. Nitro Pro 7 is one of the oldest versions of the tool, but compared with Acrobat, it still offers good features at almost one-third the price of Acrobat. It includes a full set of features apart from regular viewing, creating, editing and combining of PDF files. Some of the key advantages of this tool include the following. Problem #1: While performing a file conversion, the tool will crash or freeze sometimes. Solution: This situation may occur if you aren't properly maintaining the product. Remove any tools or references that you do not use. This will make the conversion of Nitro pro more stable. Problem #2: Large images do not convert properly. Solution: You may face this issue if you are trying to convert a large image and the formatting looks off. You can solve this issue by turning on the OCR feature, which will allow you to edit the images. Problem #3: Active hyperlinks no longer work after the conversion. Solution: if you are using an older version of Nitro Pro you may find that a document with active hyperlink becomes inactive after the conversion. To solve this problem, update to the latest version of Nitro Pro. Problem #4: While converting a document to PDF, you get an error message that the conversion failed. Solution: This is a common problem that can be easily fixed. Go to the Control Panel of your system and remove Nitro PDF Creator. You'll then need to re-install on your computer. Afterwards, you should no longer receive these messages. Problem #5: Your PDF files cannot be found in the browser, due to corrupt Nitro Pro plugins. Solution: This problem can be resolved by repairing the plug-ins.